They really are easy. They're also much better for you than the original recipe. You see, this started as an Ina Garten Recipe, the Barefoot Contessa, that I modified. More that I changed the process to make it work for me. Originally these were Donuts. Now while everyone loves donuts, I didn't want fried, and they were a little large. I managed to get 16 muffins instead of her 12 donuts, so I didn't feel bad about having Icing on top. I also don't have a donut pan for baked donuts so I got to thinking. Ina made the comment that this was a thin or loose batter, and she was right. 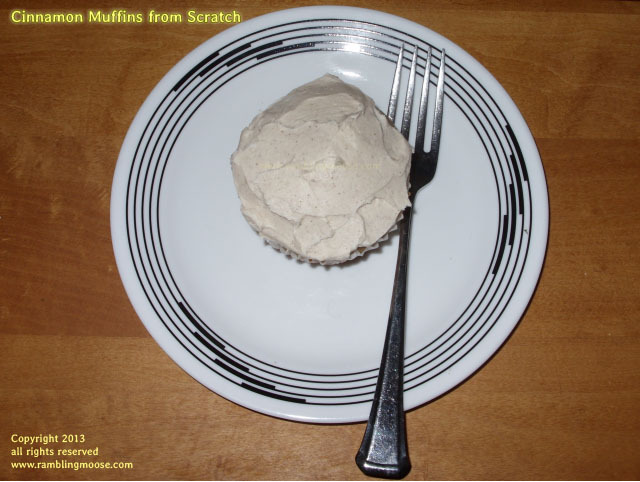 It was about the same consistency as any cake or muffin batter so why not try muffins. Muffins are basically cupcakes, so I may try this as an actual cake since they did turn out light and fluffy. A wee bit of science here. Mixing flour and water gives Gluten. That's fine in bread, gives good texture, but with a muffin you want light. 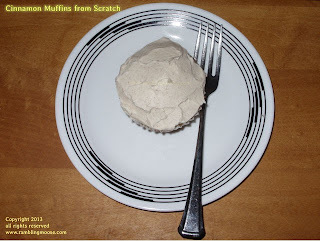 So mix gently and use an all purpose flour or experiment with a cake flour with this recipe. The taste comes from the Cinnamon and the Sugar and who doesn't like that? Ina's original instructions are here on her web page, but the recipe is below for your convenience. I really do recommend her recipes, they're usually quite good. This is the recipe for the batter only. If you want the original donuts, follow this link. Stir the dry ingredients well or sift them together. I used a stand mixer and gave it a couple pulses just to stir it up. Add the wet to the dry and mix them lightly until the batter is smooth but be careful not to over-mix. Over-mixing makes this recipe "rubbery". Bake in Muffin Cups - 1/4 cup per cup. 350F for 17 minutes or until a toothpick comes clean when pierced through the top.